Codependency: What is it and where does it come from? As a counselor, I have been noticing that the term codependency is being overused and misused quite a bit as many mistake the term codependency for dependency. Codependency is characterized by neglecting one’s own needs in favor of meeting the needs of another. 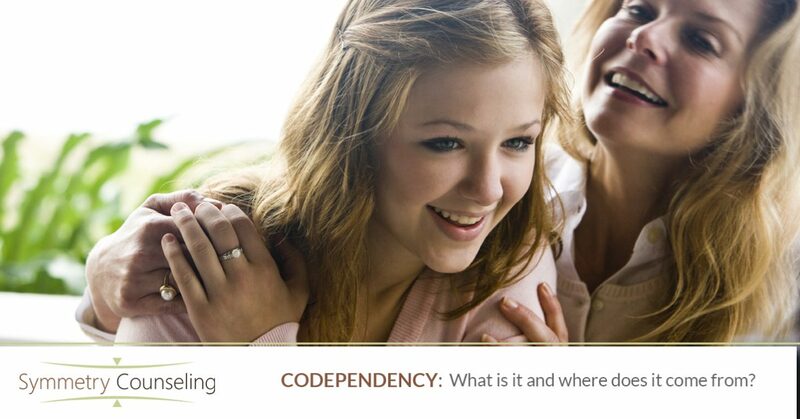 The dependency stems from the codependent’s dependence on another person depending on them. Say that five times fast! I often describe dependency as being on a spectrum. The fact of the matter is that as humans we are wired for connection, and therefore, we do rely on one another. It’s in our nature. And it’s perfectly healthy. There is a healthy dependency in which people mutually support each other while maintaining their own independence. Conversely, codependency would be at the other end of the spectrum and may necessitate therapy to overcome. I think the Kotzker Rebbe illustrated the difference between healthy and unhealthy dependency best with his saying, “If I am I because I am I, and you are you because you are you, then I am I and you are you. But if I am I because you are you and you are you because I am I, then I am not I and you are not you!” When you have codependency, you define who you are based on your relationship dynamic with another person, derive your self-worth from others, and seek validation from others. And more often than not, this starts in childhood. Generally, codependents grow up with parents who teach them that their needs are secondary. This dynamic is often common in alcoholic households. But one not need have an alcoholic parent to develop codependency. Family dysfunction can come in many forms, some of which is deeply rooted enough that individual or family therapy is needed to overcome the issue. One breeding ground for codependency grows from a person’s caretaker(s) invalidating them and neglecting them in some way. As children, they learn that, in order to gain love and acceptance, they should deny their own thoughts and feelings. And furthermore, they learn that who they are is dependent upon behaviors, thoughts, and feelings that are favored by their parents. They come to believe that they do not matter, and become highly skilled at people pleasing. This frequently leads to a lack of identity development. Often times, codependents will say that they do not know who they are and have trouble identifying their own interests and beliefs. During therapy, I will usually explore with clients where the codependency stems from in their family of origin, but the purpose of doing this is not to place blame on others. Instead, the goal is to acknowledge how it came to be and learn from it, both during and outside of therapy sessions with a counselor. Increasing one’s awareness and gaining tools to navigate relationships can be empowering and can serve clients by helping them to break unhealthy patterns. As previously mentioned, features of codependency include low self-worth and seeking validation from others, and extend to low self-esteem, fear of being alone, inability to advocate for their own needs in relationships, trouble setting boundaries, being possessive in relationships, feeling empty, and feeling victimized. Codependency can also lead to isolation, loneliness, depression, and hopelessness – symptoms which are impactful enough to encourage many to seek the help of a counselor. Reading through these characteristics, it may seem as though nearly everyone could be codependent in some facet. It is important to note that our society promotes codependency. This would be a topic for another post entirely, but some examples would be movies and music. Listen to the lyrics of any love song or watch any Rom-com. They are filled with messages of codependency. If you are suffering from any of the above-mentioned symptoms, there is help. Some options for working through codependency are therapy (both individual and family therapy), support groups such as Codependents’ Anonymous (CoDA) http://coda.org (you can find meetings in your area on their website as well as a comprehensive list of the characteristics of codependency), and implementing self-care activities. To begin your journey towards healing, contact Symmetry Counseling to meet with a therapist near you.